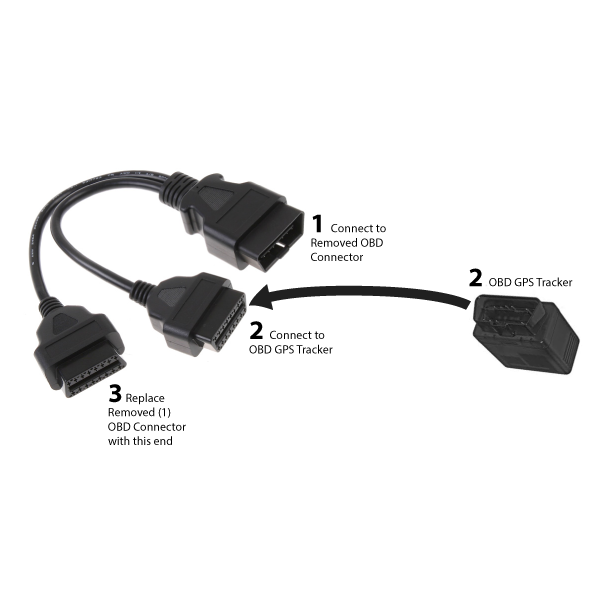 Do your tracking devices and fleet tracking system work outside of the USA? Yes! Our GPS tracking system works in the U.S., Canada, Mexico, and over 100 countries across the world. The majority of our customers come from the U.S. and Canada, but we have partnered with cellular providers across the world to create a multi-net sim card which will work in most countries. Here is a short list of the countries we support… if your country isn’t listed please contact us prior to purchasing our fleet tracking system, as a small modification of price might be needed. Yes, your Plug & Track GPS modem will alert you if it is unplugged making it virtually tamper proof. 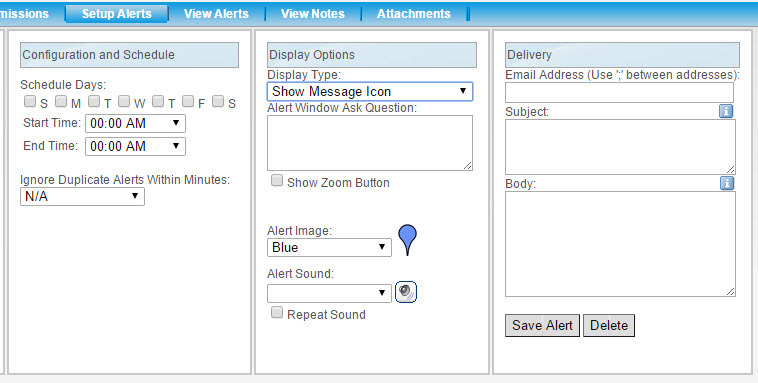 You simply set an “Alert” on the Plug & Track GPS mapping platform to inform you by text message or email when your Plug & Track GPS modem is reconnected. If you’d like even more security from tampering you can purchase an optional Relocation Y-cable that allows you to install the modem further up in to the dash. 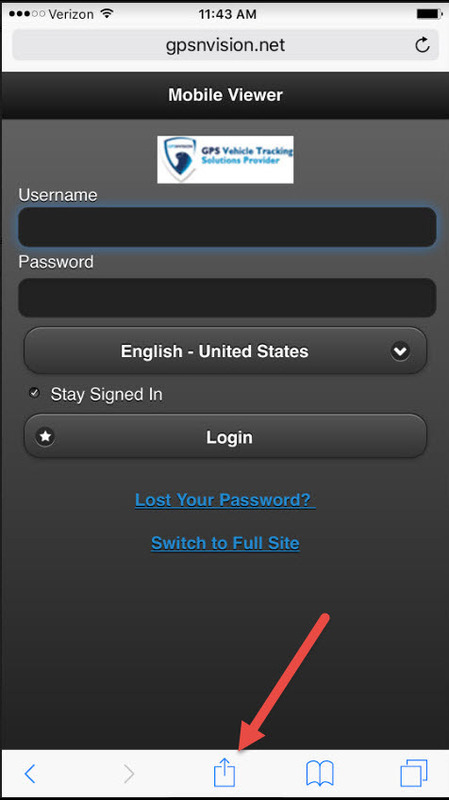 Yes, plug & Track GPS platform automatically detects that you are login in from a portable device and gives you the option to choose to view as a portable or full site. 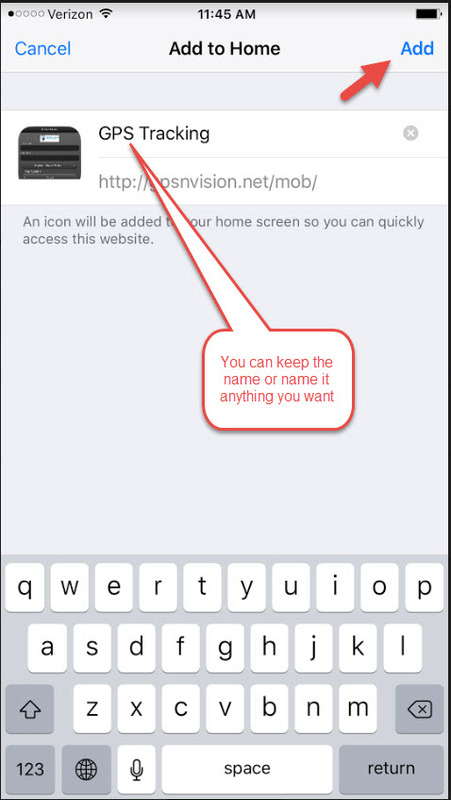 The following instructions outline how to use the Gpsnvision Mobile Viewer with iOS devices. 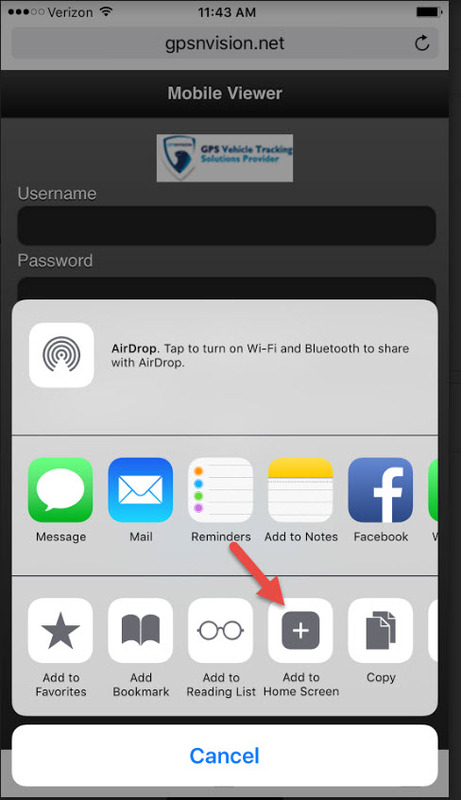 If you’re using an Android device, please follow our Android App instructions. 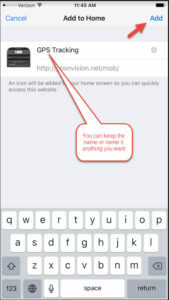 First, visit the gpsnvision mobile viewer from your mobile device browser, e.g. Safari or Chrome. Yes, if the ignition is Off and thePlug & Track GPS device detects movement at any speed greater than 32 km/h (20 mp/h) for 10 seconds or longer a potential towing event is triggered. That event is stopped when the GPS calculated speed is less than 8 km/h (5 mp/h for 2 minutes or longer. Yes, an Excessive RPM event is captured and defined when the vehicle’s engine RPM exceeds its configured threshold of 4,000 RPM. That even is reset when the RPM of the vehicle falls back down to 3,500 RPM. No, the device will not interfere with any of the vehicle’s electronics and on-board computers. It only “listens” to the data transmitted by the vehicle. Cellular service plan fees are billed through Gpsnvision to the credit card provided at the time of activation. A Monthly reoccurring fee will start on the day your Plug & Track device is activated. No, cellular service plan fees are billed through gpsnvision to the credit card provided at the time of activation. 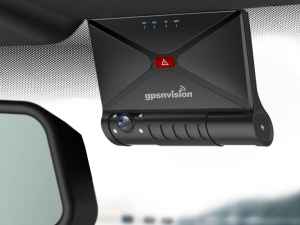 Gpsnvision deals directly with the wireless providers on your behalf and you will not receive any communication directly or indirectly as a result of your account with Plug & Track GPS. 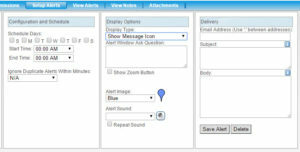 Activate your Plug N Track GPS modem and select your monthly Service Plan by clicking the “Activate” icon found on the upper left corner of the gpsnvision.com site. Is there an activation fee for Verizon? There’s no activation fee from Verizon. 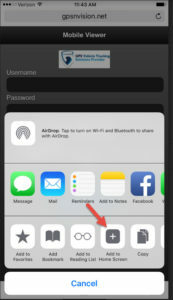 Plug & Track GPS is partnered withT-Mobile, Verizon and AT&T With coast to coast cellular network carriers. The Plug & Track GPS hardware shipped is specific to either T-Mobile or AT&T and cannot be migrated over to the other cellular network after the fact. 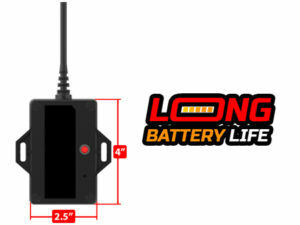 Your Plug & Track GPS device contains a back-up 1,000 position store and forward capacity should your vehicle ever travel into areas without sufficient cellular coverage. When back in cellular coverage the modem communicates all stored data to the Plug & Track servers so that you virtually never lose sight of your fleet. Your Plug & Track GPS device will connect to a cellular network outside of USA in 185 countries covered on 600+ networks, eliminating roaming charges. If you are running a seasonal business or require tracking devices for only portions of the year it may be best to put the device in “Off-Season Mode” when not in use. Off-Season mode suspends the tracking device, allowing it to be reactivated at a later date. Written confirmation via an email to support@www.gpsnvision.com for any unit that needs to be transferred into or out of “Off-Season Mode”. Should you no longer need your Plug & Track GPS account we require 30 days notice to cancel the monthly Service Plan on any device. This notice must be sent via email to support@www.gpsnvision.com. No, the device receives updates to software, firmware, and configuration settings “Over-The-Air” which means you never have to bring your device in. 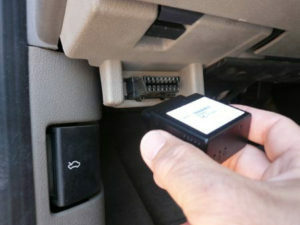 No, the device is powered by the vehicle through the OBDII port and never needs to be charged. No,for reliability and security Plug & Track GPS uses a custom APN (site to site VPN tunnel) with static IP for each modem (a separate pipeline if you will from the standard voice/data network). Cellular data costs are actually a small portion of the monthly service plan fee with ongoing Web Hosting making up the bulk of offset costs. 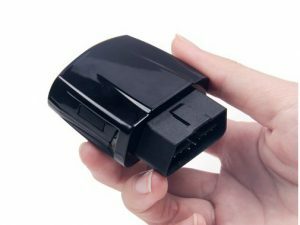 Replacing the SIM in the Plug N Track GPS Modem will void the warranty on the device. If you have a question that isn’t answered here please email us at support@www.gpsnvision.com. We’ll answer your question and perhaps even add it to this list.